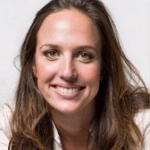 Giulia Baiocchi is an adtech entrepreneur and has over 10 years experience in marketing and business development, helping corporations such as UBS Investment Bank to drive technology integration and online visibility to generate new business. She was once a professional athlete, but started her career in business development across UK, Europe and USA, then left the corportate World to become a tech entrepreneur launching multiple startups, most recently growing ShowApp.com across Latin America. She has since joined Jampp to expand their business into APAC. Jampp is an AdTech company specialized in user acquisition and user engagement for mobile apps such Uber, Twitter, Grab and OLX. Giulia is in charge of Jampp’s new office in Singapore, opened in January 2017, to complement their existing offices in the UK, US, Germany, Argentina, Brazil and South Africa, ensuring full service to its growing client base in the APAC region. Giulia has been active in the global startup community for many years, working as Entrepreneur in Residence at Startup Chile, Startup Brazil, 21212 Digital Accelerator and Naves. She is Italian and has a master in business administration and finance from Bocconi University in Milan. She currently lives in Singapore.